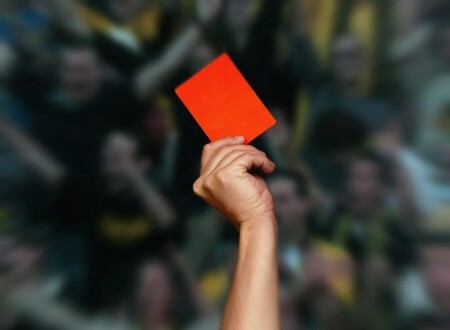 Disqualifications: Fight Them or Accept Them? Disqualifications. They’re a common and necessary part of swimming. They lurk behind every start, turn and stroke. They can generate tears, anger, outrage, swearing and sometimes even acceptance. And they occur at local developmental meets, the Olympics, and everything in between. But what amazes me about them it the incredible diversity of attitudes towards them. I’ve seen coaches from large, respected clubs at small unimportant meets aggressively defend swimmers against DQs, using all of their tricks and influence to get the DQ overturned. I even heard one coach later saying he didn’t even see the swim in question. I’ve seen other coaches accept a DQ at a national championship without an argument. So let’s get back to my title question: Should we fight DQs, or accept them? My personal response to DQs is that I use cautious acceptance. If I personally saw the infraction, then I’ll accept the DQ without a hassle. I generally treat DQs as a learning experience, and if swimmer messed up, they need to learn. If I didn’t see the infraction, but its one the swimmer does on a regular basis in practice, then I’ll treat it as the above situation. If I have a reason to doubt the DQ though, its a different matter. Other than the political arena of large swim meets, coaches have very few tools to use in this case. But the primary tool is to check the wording of the DQ. Officials do get things wrong at times, so I make sure the wording of the DQ is correct, AND the lane, heat and event number are correct. Just last year an official came up to me and said my swimmer is DQd for a one-hand touch. The problem is that lane, heat and event, and therefore my swimmer, was in a backstroke event. The official wrote down the wrong event, and so they were about to DQ the wrong swimmer. If I’m positive that the DQ is incorrect, and I mean really, really positive, then it can get frustrating. If the DQ is written up properly, then there is nothing I can really do. I can really only state my case and ask about the experience level of the official who called it. But in all reality, that’s not going to change anything at all. In an international meet we could get political, but that’s a whole other realm that I like to stay away from. I’ve talked to other coaches about DQs and the range of opinion is surprising. Many coaches fight a DQ just to show solidarity with their swimmer. It’s the whole, “I’ve got your back” philosophy. I’m not sure what the swimmer learns out of this, but I suspect the coach just enjoys causing trouble. On the other extreme, I’ve seen coaches go and ask an official to DQ one of their swimmers, as they wanted that swimmer to learn a lesson. Of course, officials can’t DQ something they didn’t see, no matter what the coach says. I do find one aspect strange. Every once in a while an official will approach me and warn me that a swimmer should be DQd, but they’re giving me a warning instead. This confuses me. I know they think they’re being nice by letting it go, but in my opinion it would be much better if they did their job. Invariably if I ask them to just DQ my swimmer (no swimmer I know has EVER learned from a warning), they’ll tell me they can’t as the window to do so has passed. It’s the parents who usually cause us the most problems. We can deal with crying and upset swimmers. But those parents are harder to deal with. I once had the parent of a 10-year old girl come down onto the deck after her daughter was DQd at an unimportant meet, and start yelling at me very loudly that it was my fault. That her daughter would never do an illegal turn unless we taught it to her. The irony to me was that I wasn’t even her daughter’s coach. She hadn’t made it to my level yet. (That family was asked to leave the team the next year over the mother’s continued abuse of coaches). I’ve also had parents who have children in other sports tell me how disappointed they were that we didn’t fight the DQ. Evidently other sports have different views on DQs. I explained how the DQ was valid, and they just stared at me as if that fact was irrelevant. Unfortunately, I’ve also heard parents scold their kids after a DQ. I doubt they’d scold their kids for making a mistake on a test, but somehow this is different. Maybe it’s because they’re watching it happen, or maybe they’re just experiencing sports vicariously through their kids. We try to address the inevitability of DQs with Swimming 101 sessions with parents. I usually talk about Ian Thorpe’s false start as an example of how even the best swimmers in the world can make mistakes. Right now I have a great group of parents who don’t cause problems, so I really can’t complain. 1970s Canadian University Championships – last day. The overall race was very close between U of Waterloo and U of Toronto. Each of those universities had a stroke and turns judges officiating. A breaststroke race comes up, and the UofT official DQs the top-ranked Waterloo swimmer. In the very next race, the UofW official DQs the top-ranked backstroke swimmer. Needless to say this caused a huge fuss, and they delayed the meet so that the officials could discuss. In the end, both DQs stood, and the meet went on. I still remember that as a swimmer, I was not impressed with the adults. Masters swimmers can be the worst ones regarding DQs, as they will often take on the argument with the officials themselves. I was strokes & turns judge for one Masters meet where the swimmer did 5 huge dolphin kicks off the wall in a breaststroke race, and this was well before even one was allowed. his response to the DQ was at first amusing: “You’re wrong. They changed the rule. You can do as many dolphin kicks as you want now.” And then it just became annoying as he stood beside me for a few heats insulting me and telling me how bad an official I was. Kids at least usually have enough respect / fear of adults that they wouldn’t dream of doing such a thing. 2005 World Swim Championships in Montreal. The finals of the Women’s 200 Fly was going to be an amazing race between Otylia Jedrzejczak of Poland, and Jessicah Schipper of Australia. And it was. They were tight the whole way, and with only 0.16 s separating them with 50m to go, they swam beside each other for the whole last 50. It wasn’t until the final stroke that Jedrzejczak surged ahead to win by 0.04s and claim a new world record. However, TV was carrying the race, including underwater footage, and clearly showed Jedrzejczak touching with one hand while pulling with the other. A picture (can’t find the videos any more) shows the one hand touching while the other hand is halfway through the pull. No DQ was recorded despite an official for each lane leaning over at the finish. On parents’ reactions – I’ve heard them scolding for “looking round” – not a DQ, but equally, something that affects there performance – are they not just reinforcing the point that a lesson can be learnt to improve performance in the next race? Hi Polly. Great to hear from you! You are right in that parent’s reactions can serve as further reinforcement. However, I am firmly of the opinion that parent’s should be supportive no matter the outcome, And, this is the hard part, this means not scolding or correcting. There has been studies that have shown that athletes experience a lot of stress from parents ‘assisting’ in the coaching process. Any corrections tend to be viewed as criticisms. A knowledgeable coach and a fully supportive family is the best combination. I had a swimmer get disqualified for a false start. I had videoed the race and clearly the Official got the wrong lane. It was unacceptable evidence, as it states in the rules. I tried a few angles but no change. I knew the Referee and said ‘just for your own satisfaction, do you want to see the video?’, a long debate…then his curiosity prevailed but was adamant it wouldn’t influence any thing. He saw it, and the DQ just mysteriously went away. Great job on the video Gary! I’ve had a few situations in small meets where I’ve seen a neighbouring lane do something obvious, and then my kid is DQd by mistake. It’s usually a losing battle to fight it, and I often don’t even tell that kid they were DQd. In fact, other than an obvious mistake on the DQ card, which happens more often than you’d think, I find it almost impossible to overturn anything. On an interesting note, I was told that at the last meet the head S&T judge was questioning our team’s breaststroke underwater phase. We were using the new SW 7.1 ruling from December, and the head judge was apparently unaware of it. From what I heard, she checked with the referee and he set her straight. I think that’s a perfect case of where having 2 people involved in accepting a DQ worked perfectly. 2004 Olympics in Athens. The swimmer who came 4th in the final of 200m backstroke went into the final 2nd place. The winner was disqualified for the weird backstroke turning rule of kicking after finishing the last stroke into the wall on a turn. 4th became 3rd…very excited swimmer who saw his potential podium dream disappear then come true…but…the official was Korean and wrote the DQ in Korean. Against the rules and the DQ was overturned. Oh, you’re talking about Aaron Piersol. The official I believe was Singaporean, and the video evidence showed that he was no more guilty of an illegal turn than 6 other people in the final. (Not to say he wasn’t guilty, it’s just that everybody did the turn with a hesitation and it was never called). It was largely felt that his DQ was in retaliation for his very vocal criticisms of FINA for not DQing Kitajima for his dolphin kicks 4 days earlier. Coach Madge, what a fine article you have written and described thoroughly about DQs, reactions from Parents, Coaches, Swimmers and of course Officials. Thet is happening probably everywhere no matter the important meet or not so important one. I can tell your long time experience and depth of your knowledge by reading your article. Please ignor my mistakes as I am not a native English speaker or a writer. I appreciate that you share your experience with the members. As I myself a coach, a S&T Judge, and a Ref, I can see and feel everything in it. Please allow me to share your article with my fellow coaches and judges. Thank you again for sharing your experience with us. referee’s whistle blows for heat 6. 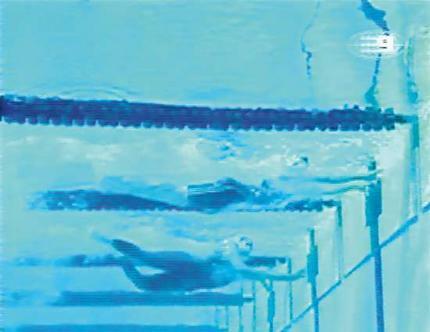 The deck referee and starter do not realize the incorrect swimmer is on the block and they start the race. Should Robert be disqualified? important that the time achieved be credited to the correct swimmer. seemed to be the most problematic. I was at a meet at the same pool 4 weeks ago plus 2 meets last year and do not recall this ever happening. Hi Eileen, yes this type of DQ announcement is a new thing. As stupid as it sounds, you have to listen constantly for the garbled announcement that indicates the DQ heat and lane, and then go to the announcer’s desk to see the actual DQ slip of paper. In a big noisy meet, this system is unworkable. The few times I’ve gone to the desk, they’ve been great about giving me the necessary information. But if you don’t go, you’ll have no idea why the DQ happened. Sounds like a big step backwards to me, but I’ve been told it means far less work for the officials.